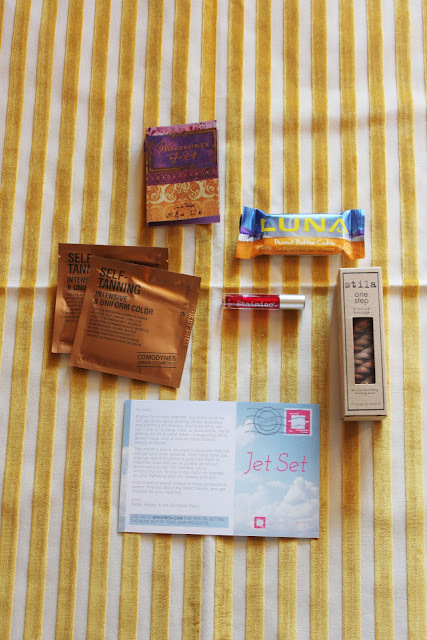 Hey all you travel mavens, this BirchBox was for you. Including some of the most essential items you need to take while jet setting. Even the inside packaging looked like a passport book. Cute huh? Comodynes - Self Tanning Towelettes - Can't wait to use these, I have heard good things. Stila - One Step Bronzer - Ok this is like a full size product, it's huge and just what I needed! I broke my bronzer and needed a new one because the little pieces were really getting to me and bam! New bronzer in my hand. I've already used it, and love it! I have this thing about bronzers, they can't be too orange (duh) or have too much sparkle... cause then you look like you're sweating. Ew. *Update - After I posted this I wanted to look up the size of the full size product! This is full size and retails at $36! Another bam. Got it for $10. The Balm Cosmetics - Stainiac in Beauty Queen - Anytime I get a lip stain or gloss I immediately try it on. This one is great because it's a lip stain or you can use it as a cheek stain and you have long lasting blush! Wonderstruck - Taylor Swift - Oh T. Swift, what product do you not have? This one is actually a nice summer scent. Kinda reminds me of Clinic Happy. I'll wear it for a month, sure. Luna Bar - Minis - Well of course I ate this in one second. Pretty good, I love Luna bars. And the mini are so cute! Once again, love BirchBox, it's such a great treat in the snail mail every month. If you want to get on the list, sign up here. I only had to wait a month on the waitlist. 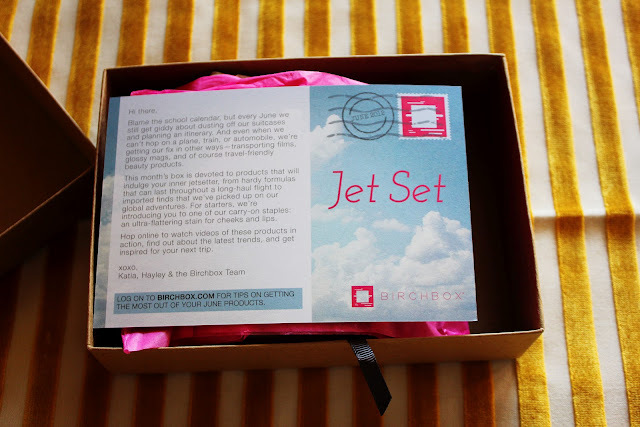 Next month, BirchBox is teaming up with Glamour magazine, so that will be super fun! I love how creative they get with their themes. Super cute! My box was so different! I got the stain and the towelettes - so excited to use those - but not the stila bronzer or luna bar. :( I got a makeup brush cleanser & leave in conditioner instead. Birchbox is so fun but I wish we could choose our products sometimes! 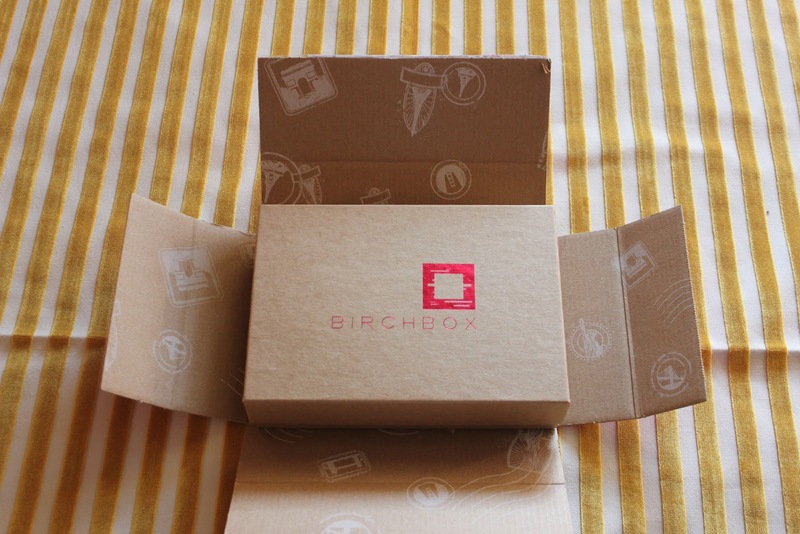 Never heard of Birch Box. What is it?